6 Musts Before Launching Your Social Media Marketing Campaign | GUI Tricks - In Touch With Tomorrow! 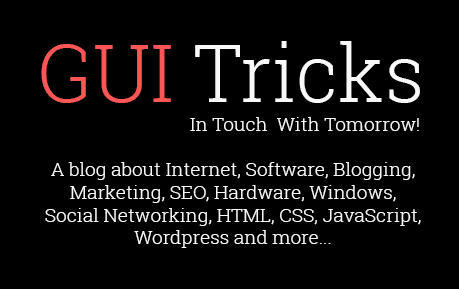 6 Musts Before Launching Your Social Media Marketing Campaign - GUI Tricks - In Touch With Tomorrow! It’s okay to be excited about the potential of social media marketing. There is a lot of evidence out there that if it’s done correctly it can bring in a lot of customers. The key phrase in that statement, however, is ‘if it’s done correctly’. It is quite easy to screw up if you jump in without careful consideration. 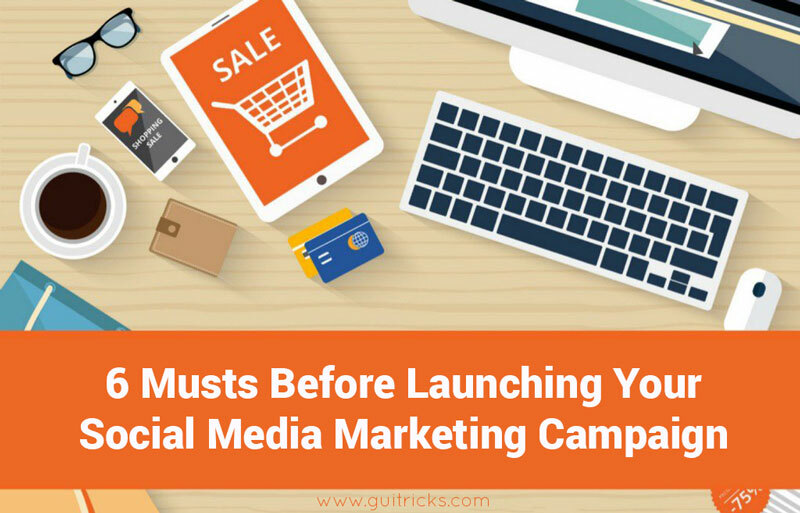 For that reason, here we’ve got a list of some of the most important things for you to think about before you go ahead and launch that campaign. In that way, you’ll be prepared and you’ll actually get the most bang for your buck. No, ‘success’ is not the right answer here. Of course, you want success, but if that’s all the goal setting you do you can be pretty sure that you won’t get it. Instead, you need to know what you’re aiming for. This is how you can make sure that you stay on message, that your team (if you’ve got one) knows what to do and that your strategy moves forward. So define what you mean by ‘success’. Does it mean more traffic? Does it mean more conversions? Does it mean more likes or followers? Also, what’s your plan for getting you there? These are important questions that will help steer your efforts. So if you don’t have answers to them, then it’s time to start doing some research. Dig into the research as to what techniques and tactics will get you to your goals (and what goals you should set for yourself). In that way, you’ll make sure that you don’t end up re-inventing the wheel and can avoid the many mistakes that have already been documented. Just as importantly, who is your audience and what are they interested in? Again, ‘everybody’ is not the right answer. For if you say ‘everybody’ then chances are, you’ll end up interesting nobody. Why? A good strategy isn’t about stirring the mild interest of a lot of people. It’s about getting a small group of people highly interested. If you can do that, then you’ll actually start building up a followership. What’s more, these people – as well as becoming customers – can become multipliers. They can start re-sharing your content and your ideas across their networks and thereby much increase your reach. Remember, organic reach is getting harder. It will be almost impossible if you can’t get advocates. So define your audience and find out what interest them. In this way, you’ll be able to significantly expand how many people end up seeing your material. If you’re in the fortunate position of having a team, you’ve got to make sure that all the responsibilities and duties have been correctly identified and assigned. This is vitally important, as chances are for many people involved in the process this might be the first time they’re trying to use social media in this way. That means that there is a good chance that things that might be obvious to the more experienced ones out there aren’t at all clear to them. And when that’s the case, things that are important might well not get done at all. The worst part? You might not actually realize what isn’t getting done for a while. After all, there are a lot of things to keep track of. And that could set your campaign back a lot (to not even mention waste a lot of money). So get together, assign duties and make sure everybody’s on the same page. Also, meet often in the first few weeks to make sure that everything is getting done correctly and nobody is getting overwhelmed by their responsibilities. Is Your Site Set Up For Conversions? Ultimately, the point of having a social media strategy is to get you, new customers. That means boosting your traffic is only the first step. You’ve got to make sure that once they arrive on your site, they end up being steered in the right direction, through your sales funnel. You do have a sales funnel, right? In case you’re not completely familiar with the concept, a sales funnel is a structure where people move from your landing pages (e.g. your blog posts or other pages that are meant to attract traffic) towards your products and ultimately towards hitting that ‘buy’ button and sending you their money. For that to happen, there have to be clear links from your content towards your product pages. There are many great examples out there, but a great example is that of writing services companies. They really have this practice down to a fine art. So check them out to get a better idea of how to do this process correctly. If you want to have a successful social media marketing campaign, then you’re going to need a constant stream of new content to keep your audience interested. The best way to do that is to build a blog that you going to update on a regular enough basis (don’t go overboard. Once or twice a week is enough). Blogs are great marketing tools as they allow you to establish trust, create a flow of new content and bring back people in your niche to view your site again and again (thereby significantly raising the chance that they’ll buy your product). So build one! Then, as your blog builds up to build up your marketing campaign as well. In that way, your visitors can stick around a little longer on your site by going back to older content. What’s more, this will allow you to get a sense for what the people actually want to read and that makes it easier to actually market the content. So now you’re ready to start that campaign? Not quite. You see, once people read you content and decide they like it, chances are they’ll check out your social media profiles to see what you stand for and what you do. If those profiles are missing information, then that can mean that you end up missing out on some new followers. After all, they don’t want to follow something that they can’t put their finger on. They’ve got enough things to choose from that they can identify almost immediately! So make sure that you’ve correctly filled out your profiles and that they all point towards places where your potential followers and customers can get a better idea of what you do and why you’re doing it. Social media marketing can be incredibly effective. You just have to figure out how to do it correctly. With these steps, you’ll be well on your way. Note, there will probably still be things that you’ll only figure out after a while. That’s the way with life. Still, at least you won’t be making the same mistakes as everybody else has already made. That’s something, right? Hey there, would like to say thank you from our whole team for this post, really helped us a lot. Loving it.